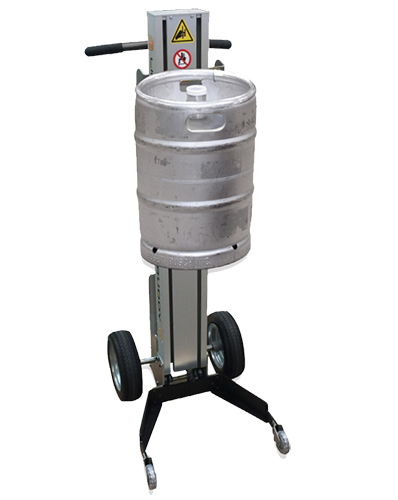 Unload, transport, and store a wide variety of keg sizes easier with the the Keg Lifter. The Keg Lifter can be pushed on all four wheels or tilted back on two wheels like a conventional hand truck which makes it highly maneuverable and perfect for use in tight spaces like walk-in refrigerators or tap rooms. Long lasting battery that quickly recharges with the 110V battery charger included with all units. 2-Wheel Truck w/ Motorized Lift - Dual Grip, 200 lb. Cap.